Linnea Lenkus is a fine art photographer creating fine art photography of nudes and nature photography for art galleries and museums. Lenkus has accomplished a long career in professional photography and has explored the commercial photography world as well as the portrait photography world. 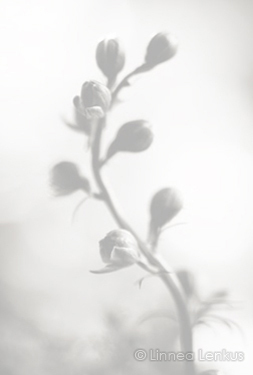 While exploring form, light, shadow and negative space she has embraced a simple, yet provocative style and has applied her techniques to the photography of the female form and to nature photography, photographing flowers as well as other flora. She has a unique sense of abstract photography in her nudes or her macro nature photography. As one of the fine art photographers in Southern California she sells her fine art prints through photography exhibitions and art galleries all over the world, but also on her art photography website. Please consider hanging her photo art on your wall, whether it's fine art nudes or fine art nature photography. Linnea Lenkus has photography studios based in the Los Angeles area. She creates her fine art photography as well as her other forms of photography from these photo studios.